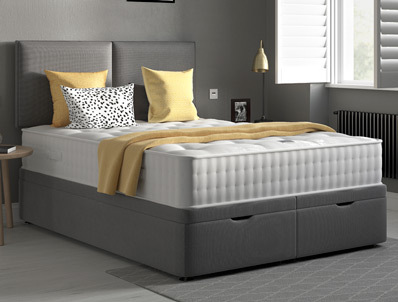 The Myers Natural Pocket 800 divan bed is new for 2019 and offers an entry level firm pocket spring mattress. 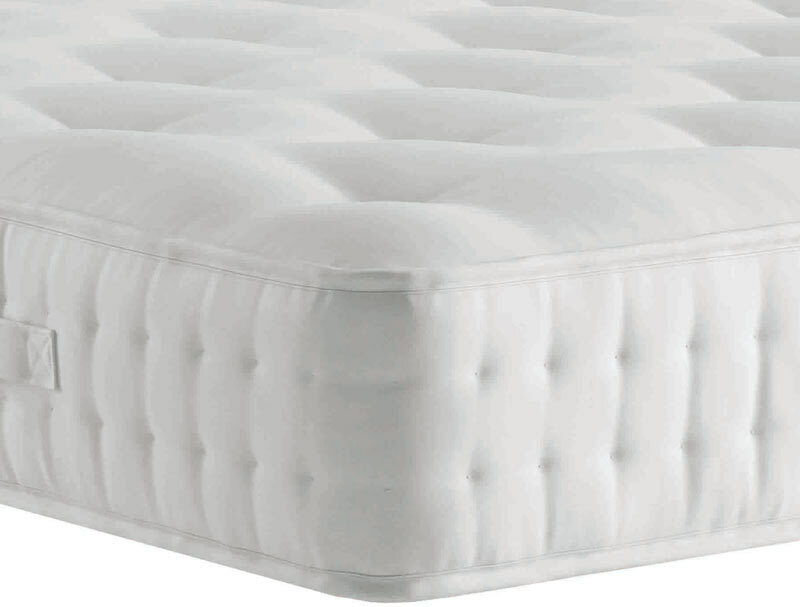 It contains layers of silk, cashmere and wool fillings on both sides of this fully turn-able and rotatable mattress. The Natural pocket 800 mattress is 25cm deep and is sure to be popular in this all new Myers divan bed range. This turnable mattress sits on a platform top hard base that is available in two heights, standard 40cm high or a lower base at 32cm. 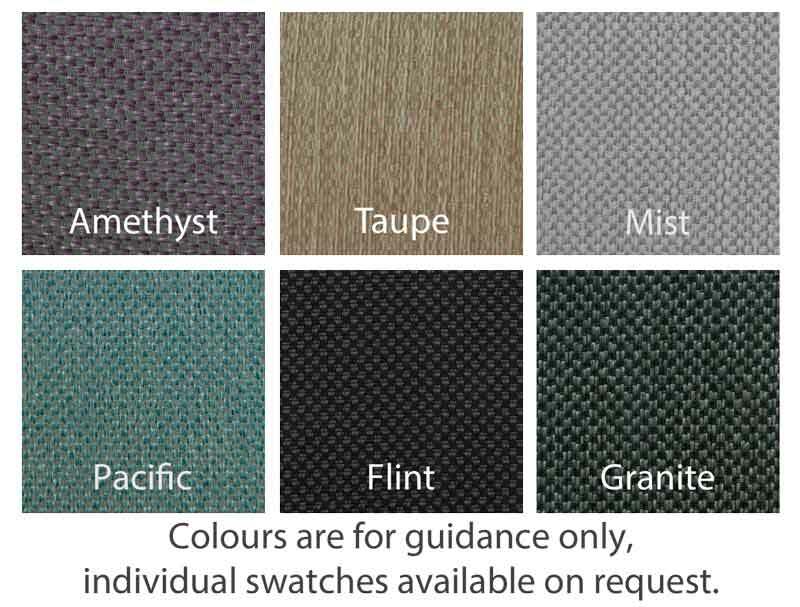 There is a choice of 6 different coloured fabrics for the base. The base is also available with drawers with the choice of 2, 2+2 or 4 drawers of which 2 drawers are currently FREE of charge. There is also an option to have an end opening ottoman base (40cm high). The headboard pictured is not included in the price but is available to add as an extra and it would be made in the same fabric as the base.